Think of someone you love. Then think how thrilled they''ll be when this gorgeous bouquet arrives at the door. 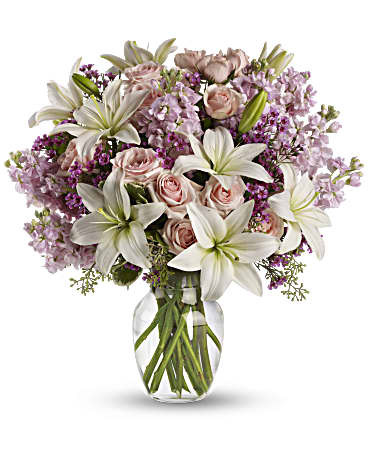 Light pink spray roses, fragrant white lilies and other favorites in a sparkling glass vase - they''ll be floating on air all week.